A free fun game on android providing complete entertainment and helping you relax while demanding quick reflexes. “Traffic Jam” provides a familiar environment of being stuck in a traffic jam on busy Indian roads. The premise is quite funny and the ironic Bollywood song in the background is sure to bring smile on player’s faces. • While you were daydreaming about your girlfriend, you hit an aunty on the road. • Aunty has a million friends and they all come rushing to help her and soon the mob starts throwing all the things they can lay their hands on. • Tap the items before they hit you. Tapping on food will give you health and tapping on bad items will make them disappear. • Share your score with your friends on Facebook and Twitter. • Game works on all low and high end android smartphones. This addicting Indian game may sound easy but is not. If you can survive here, you will survive anywhere! If you are stuck in traffic or wish to have some quick fun, this free android game is for you. ‘I LUV CHOCOLAT’ only for $1.99! Outwit the chocolate factory guards and collect all the tasty treats you can find, in this new family adventure from Zatun Games for only $1.99! Do you love chocolate? Do you love it enough to – gasp! – steal it from the factory itself? In this fun family game, you’ll be outwitting the chocolate factory’s guards as you munch on tasty treats across seven exciting levels. Collect the good chocolates to rack up a high score, while avoiding the bad ones to escape time and point penalties. A straight-forward two-thumb control scheme allows you to bounce around the world with ease. 30 EXCITING CHOCOLATES TO COLLECT*! Some chocolates will provide you with points to add to your score tally, or give you extra time to complete your munching task. Others taste a bit off, and do the exact opposite. Be sure to eat the right ones! A RICH AND VARIED GAME WORLD! I Luv Chocolat features seven levels*, each set in a completely different world, ensuring a satisfyingly varied experience. TWO VERSIONS TO CHOOSE FROM ! Lite – FREE and Full version only at $1.99 USD! Still haven’t made up your mind? Why not try the Lite version? It’s absolutely free! Collect ten different chocolates across two separate levels, without paying a penny. Go on – get your munch on! PC games have taken the gaming market by storm with everyday new releases that captures the interest of both young and old alike. With a whole gamut of PC games ranging from arcade to word games, it often becomes a tedious task to select the best fit. 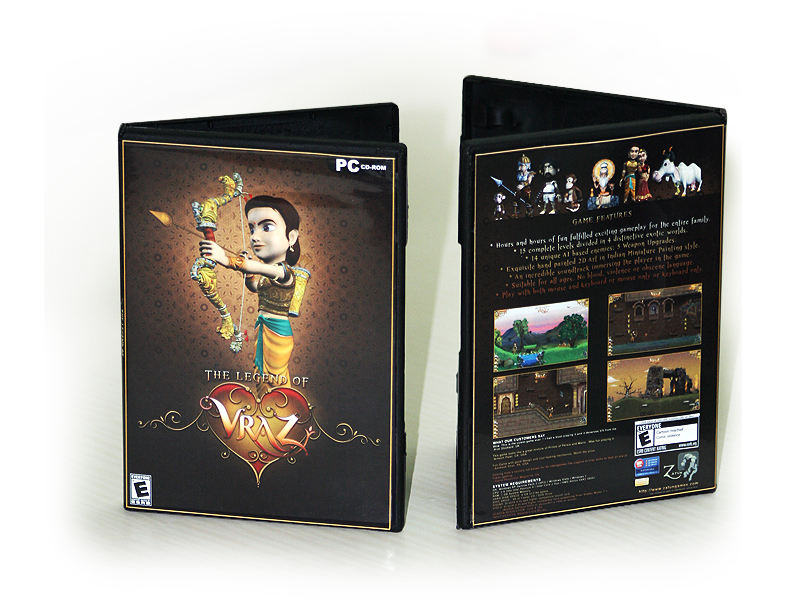 To ease your apprehension we bring forth a new gaming experience at your doorstep with The Legend of Vraz CDs. 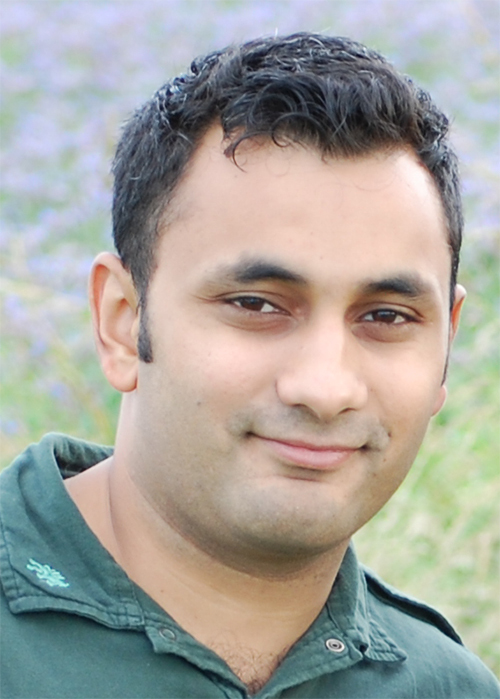 Zatun Games is an independent game company based out of Ahmedabad, India and has many eggs in its basket. They have developed several titles for Facebook, Iphone and XBOX live arcade. With the launch of The Legend of Vraz DVDs, this “Indian” company has proved its mettle in the International Game market. Zatun Games has successfully developed the first Indian arcade game – The Legend of Vraz in 2D with Microsoft XNA Game Studio. The game is built for Windows PC. The game is based on an epic love story set amidst the Indian landscape with fantastic visuals and ancient weapons. Despite being an arcade game, it contains no violence and hence suitable for all ages- child or adult.The game with 5 objectives is divided into 15 levels which are further segregated into 4 distinct worlds. The game graphics is based on Indian Miniature paintings, hand-painted by an in-house team of game artists, and it exotically reflects the Indian art in conjunction with age-old traditions and deep-seated values. Buy Legend of Vraz CDs today! To Order the CD’s please click here. You can buy the game online as well via PayPal/credit card here. We also accept bank transfers to our local bank in India. Please contact us or send an email to support@zatungames.com after you have done the bank transfer. Once we receive your payment confirmation, we will send you the link to our secure download location from where you can download the full unlocked version of the game. The Legend of Vraz is an arcade based adventure PC game that requires Prince Vraz to accomplish 5 objectives in order to marry his beloved Princess Avi. Sounds simple? Wait till you encounter the obstacles at every level, which will propel you to utilize your reflexes and mind in the best possible manner. The game is a respite from the bloody bath that you usually play in an arcade game. It’s not surprising to watch the game enthusiasts visiting game stores to purchase Legend of Vraz DVDs . Many are visiting the website zatungames.com to buy this top PC download adventure game. Game enthusiasts who have purchased Legend of Vraz CDs from the video retail stores or online have commented on the game in an extremely positive bent of mind, they firmly believe this game can be played along with children in the same verve. Many have gained an insight to Indian traditions and cultures which they had read in the books. In all galore, this game harnesses the essence of human existence – love, compassion, forgiveness and bravery. With an exotic soundtrack it sure melts your core and makes you wander in a magnificent dreamland from where you would hate to come back. The game can be played via the mouse, keyboard and/or both. With all the epic charm, sharp graphics and advanced gaming technology buying Legend of Vraz CDs is worth every dime. Zatun’s newest game – Vuvuzela Revenge for Flash and Facebook allows you to get back with your arch nemesis during this worldcup. For the most of us, it was the vuvuzela’s (I had never heard of it before the world cup) and for the less fortunate ones out there, it could Paul – The Octopus whose predictions have made us wonder if we should get one in our studio as well. Have your ear drums popped out after watching the FIFA world cup? Don’t you wish there was something you could do to get back to those Vuvuzelas. The buzzing sound has even scared the bees.